Thomas Anthony Pollock, age 93, passed away on February 25, 2018 in Kirkland, WA. He is survived by three children and extended family. A Memorial Service will be held at 1:00pm on Saturday, March 17, at Magnolia Lutheran Church, 2414-31st Ave. W., Seattle, WA 98199. 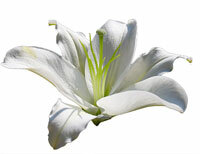 Memorials may be made to Magnolia Lutheran Church or Evergreen Hospice Care Center, Kirkland, WA.